Ranging from slime molds to Alzheimer’s Disease, a new online exhibit, Emergent Universe (http://www.emergentuniverse.org) aims to encourage young people to learn about “emergence,” complex behaviors that arise from the interaction of simple parts. See: Emergent Universe - an online museum of science. Created for the online science museum emergentuniverse.org, this dance flash mob illustrates the behavior of electrons in a superconductor. Superconductors are materials which, at very low temperatures, can conduct electric currents without any resistance. That means that the current can flow forever with no energy loss. The exhibit on superconductivity at emergentuniverse.org will go live this summer, 2011, in honor of the 100th anniversary of the discovery of the phenomenon of superconductivity. Emergentuniverse.org is sponsored by the Institute for Complex Adaptive Matter (icam-i2cam.org). 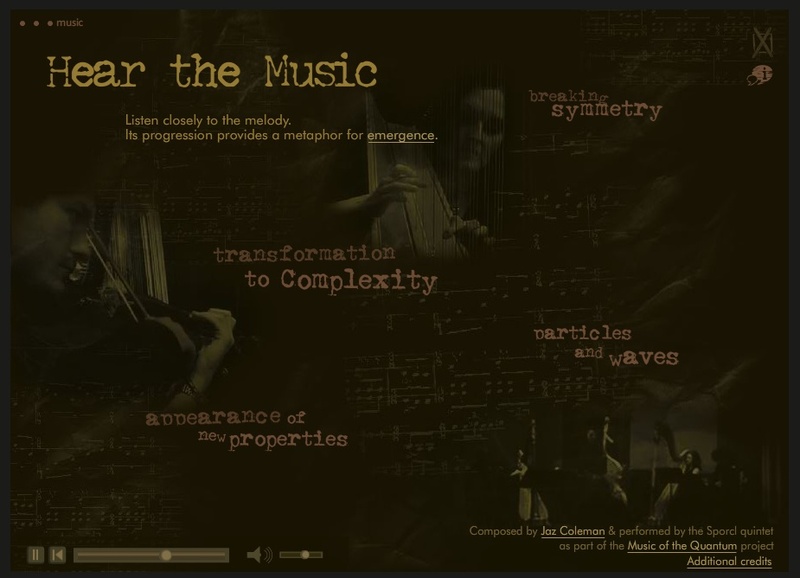 At emergentuniverse.org "Unlocking the Universe" together with "Hear the Music," it was appealing to me back then as it is now. Just some of the YouTubes I have watched. Would have liked Blogger to design a Youtube index feature according to the blogger YouTubes we have highlighted in our own blogs. Also each time one comes to this blog or others, a different Youtube will will be presented for viewing from our favorites? Certainly do not know who the fellow is in present image(Gregg Braden).....but for now, that is not important. He is not important and his message.....about life.....I am concerned about the science. As I watch the Tibetan Monk there is a question for me about the boundary and the infinite. These same notions of belief about the multiverse too have hidden in them thoughts from a scientific point of view(think of The Fabric of the Cosmos IV) as well as a spiritual perspective as shown in YouTube video above. Put the spiritual wording aside then. What is it we strive to do then about something then greater then ourselves? Is this what we are doing? Of course I am seeking responsible questions about the nature of reality as they are are very important to me. So indeed it would have been much easier for me to see the traced pathways of routes that any of us took could become a pathway for another to experience and understand. This is not about "What the Bleep" and the value of the entry of the video above, is something more then what is ascertain by such description of what could have fueled those local universes. What is to become the motivation of what could have progressed from the Big Bang to become the eternal inflation? Yet can we not say that each of us has their individual pathway of experience is but to know that "such a tunnel" predates and points toward the idea of expression as a viable option to the life unfolding for us. Is it real? What is your motivation for being then if not to have a "driving force for expression?" Your acceptance to participate? So such a tunnel for expression then becomes a method by which all undergo the process toward us saying something that is real when and only when....or indeed, is it illusory? So we accept "the tunnel as real?" Such a format becomes a method by which such expression for life is "becoming?" Richard Feynman courtesy of the Cornell Messenger Lecture Archive. Cornell Mathematics Library. Lecture #6 Probability and Uncertainty in quantum mechanics. It is nice to see particulate expression from this point of view as well. Thanks Lubos. Since the 1980s, if not earlier, supersymmetry has reigned as the best available candidate for physics beyond the standard model. But experimental searches for supersymmetric particles have so far come up empty, only reconfirming the standard model again and again. This leaves supersymmetry a theory of infinite promise and ever more questionable reality. See Link above. Although it is Fermi dated(last modified 07/09/2000) it is good to see parts of this progression in LHC? Does Tau Neutrino have it's roots in other places as well? So sometimes it is nice to see this connection for myself. A number of ordinary mechanical quantities take on a different form as the speed approaches the speed of light. At what energies must relativistic expressions be used? A lepton is an elementary particle and a fundamental constituent of matter. The best known of all leptons is the electron which governs nearly all of chemistry as it is found in atoms and is directly tied to all chemical properties. Two main classes of leptons exist: charged leptons (also known as the electron-like leptons), and neutral leptons (better known as neutrinos). Charged leptons can combine with other particles to form various composite particles such as atoms and positronium, while neutrinos rarely interact with anything, and are consequently rarely observed. τ). Electrons have the least mass of all the charged leptons. The heavier muons and taus will rapidly change into electrons through a process of particle decay: the transformation from a higher mass state to a lower mass state. Thus electrons are stable and the most common charged lepton in the universe, whereas muons and taus can only be produced in high energy collisions (such as those involving cosmic rays and those carried out in particle accelerators). Leptons have various intrinsic properties, including electric charge, spin, and mass. Unlike quarks however, leptons are not subject to the strong interaction, but they are subject to the other three fundamental interactions: gravitation, electromagnetism (excluding neutrinos, which are electrically neutral), and the weak interaction. For every lepton flavor there is a corresponding type of antiparticle, known as antilepton, that differs from the lepton only in that some of its properties have equal magnitude but opposite sign. However, according to certain theories, neutrinos may be their own antiparticle, but it is not currently known whether this is the case or not. The first charged lepton, the electron, was theorized in the mid-19th century by several scientists and was discovered in 1897 by J. J. Thomson. 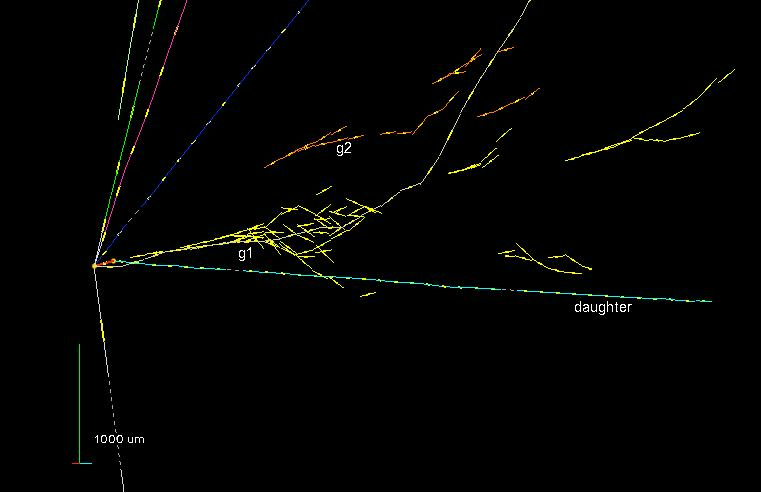 The next lepton to be observed was the muon, discovered by Carl D. Anderson in 1936, but it was erroneously classified as a meson at the time. After investigation, it was realized that the muon did not have the expected properties of a meson, but rather behaved like an electron, only with higher mass. It took until 1947 for the concept of "leptons" as a family of particle to be proposed. The first neutrino, the electron neutrino, was proposed by Wolfgang Pauli in 1930 to explain certain characteristics of beta decay. 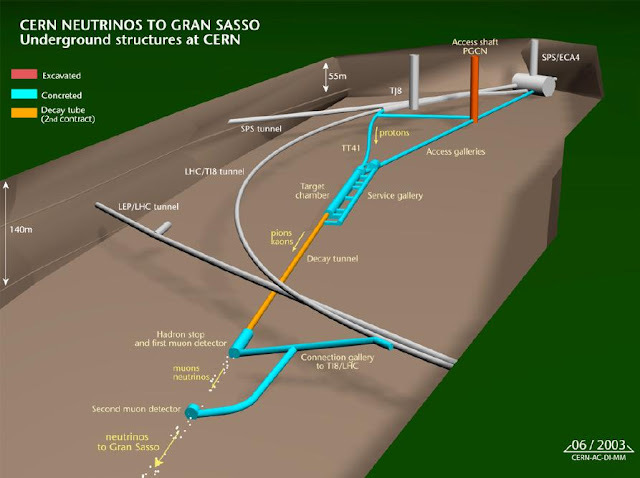 It was first observed in the Cowan–Reines neutrino experiment conducted by Clyde Cowan and Frederick Reines in 1956. 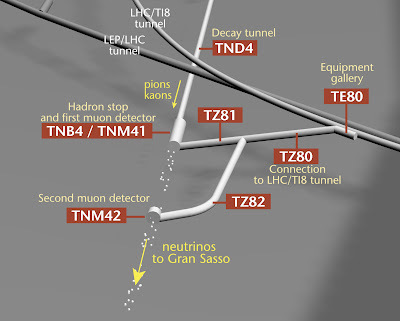 The muon neutrino was discovered in 1962 by Leon M. Lederman, Melvin Schwartz and Jack Steinberger, and the tau discovered between 1974 and 1977 by Martin Lewis Perl and his colleagues from the Stanford Linear Accelerator Center and Lawrence Berkeley National Laboratory. 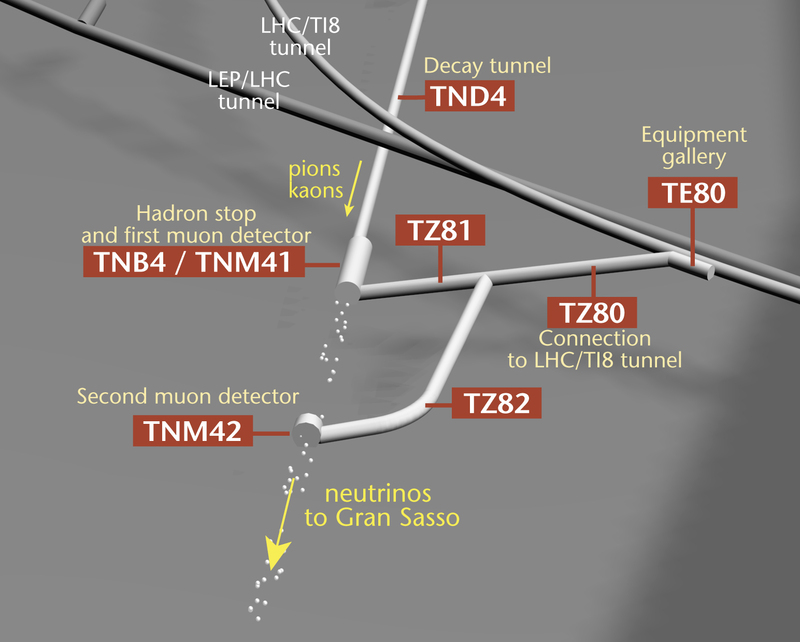 The tau neutrino remained elusive until July 2000, when the DONUT collaboration from Fermilab announced its discovery. 2011 Review of Particle Physics. Please use this CITATION: K. Nakamura et al. (Particle Data Group), Journal of Physics G37, 075021 (2010) and 2011 partial update for the 2012 edition. Let no one destitute of geometry enter my doors." Who would have known about the distinction I had thought only myself could bare the artistic rendition of a thought processes that had unfurled in my own expressive way many others had expressed. Yes I had seen students of science with qualitative formulas tattooed over their body....but it becomes personal when you hold the idea of the Body Canvas to iterate something you believe in. So, for the rest of your life? So for me it didn't matter anymore, but then I thought how can one remain in anonymity if one helps to identify it's owner(have I really released previous convictions)? So tattooing for me was more about the way in which your tattoo is depicted, then on how beautiful designs can be relabeled, or new ones drawn and located on. The story for me is truly fascinating and I found it so for those not knowing. Carl Zimmer (born 1966) is a popular science writer and blogger, especially regarding the study of evolution and parasites. He has written several books and contributes science essays to publications such as The New York Times and Discover. He is a Fellow at Yale University's Morse College. Besides his popular science writing, Zimmer also gives frequent lectures, and has been on many radio shows, including National Public Radio's Fresh Air and This American Life. His most recent award was a 2007 prize for science communication from the United States National Academy of Sciences, for his wide-ranging and fascinating coverage of biology and evolution in newspapers, magazines and his internet blog "The Loom". Since 11 November 2009 (episode 35) he is host of the periodic audio podcast Meet the Scientist of the American Society for Microbiology (replacing Merry Buckley). Zimmer received his B.A. in English from Yale University in 1987, and began freelance writing for Natural History magazine. In 1989, Zimmer started at Discover magazine, first as a copy editor and fact checker, eventually becoming a contributing editor. Layout of the CNGS beam line. Thanks to Lubos for putting Youtube Video up. For me it has been an interesting journey in trying to understand the full context of a event in space sending information through out the cosmos in ways that are not limited to the matter configurations that would affect signals of those events. In astrophysics, the most widely discussed mechanism of particle acceleration is the first-order Fermi process operating at collisionless shocks. It is based on the idea that particles undergo stochastic elastic scatterings both upstream and downstream of the shock front. This causes particles to wander across the shock repeatedly. On each crossing, they receive an energy boost as a result of the relative motion of the upstream and downstream plasmas. At non-relativistic shocks, scattering causes particles to diffuse in space, and the mechanism, termed "diffusive shock acceleration," is widely thought to be responsible for the acceleration of cosmic rays in supernova remnants. At relativistic shocks, the transport process is not spatial diffusion, but the first-order Fermi mechanism operates nevertheless (for reviews, see Kirk & Duffy 1999; Hillas 2005). In fact, the first ab initio demonstrations of this process using particle-in-cell (PIC) simulations have recently been presented for the relativistic case (Spitkovsky 2008b; Martins et al. 2009; Sironi & Spitkovsky 2009). 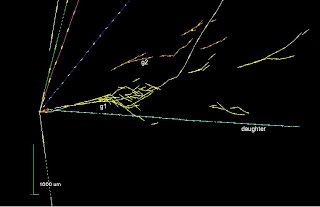 So in soliton expressions while trying to find such an example here in the blog does not seem to be offering itself in the animations of the boat traveling down the channel we are so familiar with that for me this was the idea of the experimental processes unfolding at LHC. The collision point creates shock waves\particle sprays as Jets? Solitary wave in a laboratory wave channel. In mathematics and physics, a soliton is a self-reinforcing solitary wave (a wave packet or pulse) that maintains its shape while it travels at constant speed. 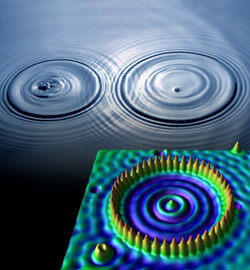 Solitons are caused by a cancellation of nonlinear and dispersive effects in the medium. (The term "dispersive effects" refers to a property of certain systems where the speed of the waves varies according to frequency.) Solitons arise as the solutions of a widespread class of weakly nonlinear dispersive partial differential equations describing physical systems. The soliton phenomenon was first described by John Scott Russell (1808–1882) who observed a solitary wave in the Union Canal in Scotland. He reproduced the phenomenon in a wave tank and named it the "Wave of Translation". So in a sense the shock front\horn for me in respect of Gran Sasso is the idea that such a front becomes a dispersive element in medium expression of earth to know that such densities in earth have a means by which we can measure relativist interpretations as assign toward density determinations in the earth. Yet, there are things not held to this distinction so know that they move on past such targets so as to show cosmological considerations are just as relevant today as they are while we set up the experimental avenues toward identifying this relationship here on earth. When looking out at the universe such perspective do not hold relevant for those not looking past the real toward the abstract? To understand the distance measure of binary star of Taylor and Hulse, such signals need to be understood in relation to what is transmitted out into the cosmos? How are we measuring that distance? For some who are even more abstractedly gifted they may see the waves generated in gravitational expression. So this becomes a means which which to ask if the binary stars are getting closer then how is this distance measured? You see? Culture jamming, coined in 1984, denotes a tactic used by many anti-consumerist social movements to disrupt or subvert mainstream cultural institutions, including corporate advertising. Guerrilla semiotics and night discourse are sometimes used synonymously with the term culture jamming. Culture jamming is often seen as a form of subvertising. Many culture jams are intended to expose apparently questionable political assumptions behind commercial culture. Common tactics include re-figuring logos, fashion statements, and product images as a means to challenge the idea of "what's cool" along with assumptions about the personal freedoms of consumption. Culture jamming sometimes entails transforming mass media to produce ironic or satirical commentary about itself, using the original medium's communication method. Culture jamming is usually employed in opposition to a perceived appropriation of public space, or as a reaction against social conformity. Prominent examples of culture jamming include the adulteration of billboard advertising by the BLF and Ron English and the street parties and protests organised by Reclaim the Streets. 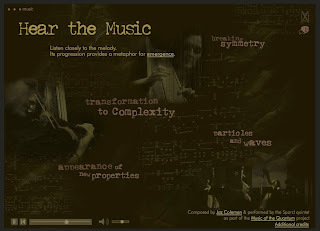 While most culture jamming focuses on subverting or critiquing political or advertising messages, some practitioners focus on a more positive, musically inspired form of jamming that brings together artists, scholars and activists to create new forms of cultural production that transcend rather than merely criticize or negate the status quo. As awareness of how the media environment we occupy affects and directs our inner life grows, some resist. The skillfully reworked billboard . . . directs the public viewer to a consideration of the original corporate strategy. The studio for the cultural jammer is the world at large. According to Vince Carducci, although the term was coined by Negativland, culture jamming can be traced as far back as the 1950s. One particularly influential group that was active in Europe was the Situationist International and was led by Guy Debord. Their main argument was based on the idea that in the past humans dealt with life and the consumer market directly. They argued that this spontaneous way of life was slowly deteriorating as a direct result of the new "modern" way of life. Situationists saw everything from television to radio as a threat. The cultural critic Mark Dery traces the origins of culture jamming to medieval carnival, which Mikhail Bakhtin interpreted, in Rabelais and his World, as an officially sanctioned subversion of the social hierarchy. Modern precursors might include: the media-savvy agit-prop of the anti-Nazi photomonteur John Heartfield, the sociopolitical street theater and staged media events of '60s radicals such as Abbie Hoffman, the German concept of Spaßguerilla, and in the Situationist International (SI) of the 1950s and '60s. The SI first compared its own activities to radio jamming in 1968, when it proposed the use of guerrilla communication within mass media to sow confusion within the dominant culture. Mark Dery's New York Times article on culture jamming, The Merry Pranksters And the Art of the Hoax was the first mention, in the mainstream media, of the phenomenon; Dery later expanded on this article in his 1993 Open Magazine pamphlet, Culture Jamming: Hacking, Slashing, and Sniping in the Empire of the Signs, a seminal essay that remains the most exhaustive historical, sociopolitical, and philosophical theorization of culture jamming to date. 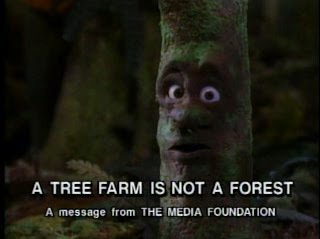 Adbusters, a Canadian publication espousing an environmentalist critique of consumerism, began promoting aspects of culture jamming after Dery introduced editor Kalle Lasn to the term through a series of articles he wrote for the magazine. In her critique of consumerism, "No Logo", the Canadian cultural commentator and political activist Naomi Klein examines culture jamming in a chapter that cites Dery and focuses on the work of Jorge Rodriguez-Gerada. Culture jamming is a form of disruption that plays on the emotions of viewers and bystanders. Jammers want to disrupt the unconscious thought process that takes place when most consumers view a popular advertising and bring about a détournement. Activists that utilize this tactic are counting on their meme to pull on the emotional strings of people and evoke some type of reaction. The reactions that most cultural jammers are hoping to evoke are behavioral change and political action. There are four emotions that activists often want viewers to feel. These emotions – shock, shame, fear, and anger, are believed to be the catalysts for social change. The basic unit in which a message is transmitted in culture jamming is the meme. Memes are condensed images that stimulate visual, verbal, musical, or behavioral associations that people can easily imitate and transmit to others. The term meme was first popularized by geneticist Richard Dawkins but later used by cultural critics such as Douglas Rushkoff that claimed memes were a type of media virus. Memes are seen as genes that can jump from outlet to outlet and replicate themselves or mutate upon transmission just like a virus. Culture jammers will often use common memes to such as the McDonald's golden arches or Nike swoosh to engage people and force them to think about their eating habits or fashion sense. In one example, jammer Jonah Perreti used the Nike symbol to stir debate on sweatshop child labor and consumer freedom. Perreti made public exchanges between himself and Nike over a disagreement. Perreti had requested custom Nikes with the word "sweatshop" placed in the Nike symbol. Nike naturally disagreed. Once this story was made public over Perreti's website it spread world wide and sparked conversation and dialogue about Nike's use of sweatshops. Jammers can also organize and participate in mass campaigns. Examples of cultural jamming like Perreti's are more along the lines of tactics that radical consumer social movements would use. These movements push people to question the taken-for-granted assumption that consuming is natural and good and aim to disrupt the naturalization of consumer culture; they also seek to create systems of production and consumption that are more humane and less dominated by global corporate hypercapitalism. Past mass events and ideas have included "Buy Nothing Day", "Digital Detox Week", virtual sit-ins and protests over the Internet, producing ‘subvertisements’ and placing them in public spaces, and creating and enacting ‘placejamming’ projects where public spaces are reclaimed and nature is re-introduced into urban places. The most effective form of jamming is to use an already widely recognizable meme to transmit the message. Once viewers are forced to take a second look at the mimicked popular meme they are forced out of their comfort zone. Viewers are presented with another way to view the meme and forced to think about the implications presented by the jammer. More often than not, when this is used as a tactic the jammer is going for shock value. For example, to make consumers aware of the negative body image that big name apparel brands are causing, a subvertisement of Calvin Klein's 'Obsession' was created and played world wide. It depicted a young woman with an eating disorder throwing up into a toilet. Recently there have been arguments against the validity and effectiveness of culture jamming. 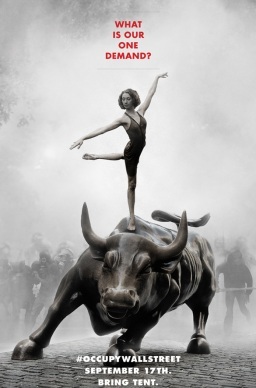 Some argue that culture jamming is easily co-opted and commodified by the market, which tends to "defuse" its potential for consumer resistance. Others posit that the culture jamming strategy of rhetorical sabotage, used by Adbusters, is easily incorporated and appropriated by clever advertising agencies, and thus is not a very powerful means of social change. Yet other critics argue that without moving beyond mere critique to offering an alternative cultural, social and/or political economic vision, jams quickly lose their power and resonance. ^ a b c d e Dery, Mark (1990)The Merry Pranksters And the Art of the Hoax, NYtimes article, December 23, 1990. ^ Binay, Ayse (2005) `Investigating the Anti-consumerism Movement in North America: The Case of Adbusters', unpublished dissertation, University of Texas. ^ a b LeVine, Mark (2005) Why They Don't Hate Us: Lifting the Veil on the Axis of Evil. Oxford, UK: Oneworld Publications. ^ Princen, Thomas, Maniates, Michael and Conca, Ken (2002) Confronting Consumption. Cambridge, MA: MIT Press. ^ Rumbo, Jospeh D. (2002) "Consumer Resistance in a World of Advertising Clutter: The Case of Adbusters", Psychology & Marketing 19(2): 127–48. Dery, Mark (1993). Culture Jamming: Hacking, Slashing, and Sniping in the Empire of Signs. Open Magazine Pamphlet Series: NJ."Shovelware". Markdery.com. Retrieved 2009-07-23. So what are your thoughts on Occupy Wall Street ? Sorry for all the links but they have been put out in order for some to understand the larger context. There has been something seriously wrong in our societies for a while now…but of course this is just my opinion. 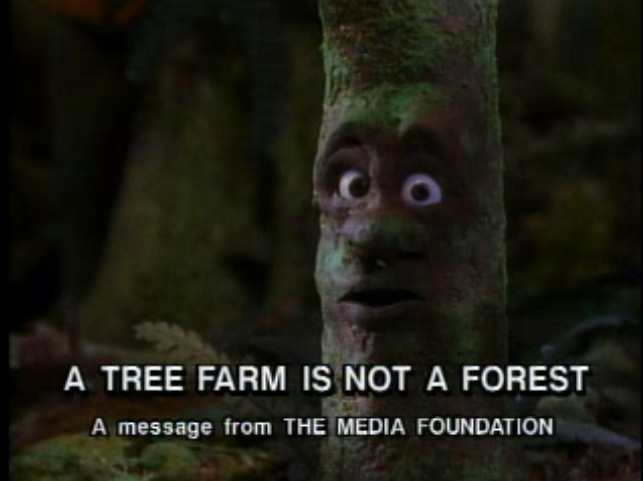 Screen capture from Adbusters' first uncommercial. If one wanted to disadvantage society even more from learning of the historical footprints that we have established, then, what better way but to wipe out the memory. So lets watch out for that . The Wayback Machine. Jet Manifestation: A World Unto Itself.